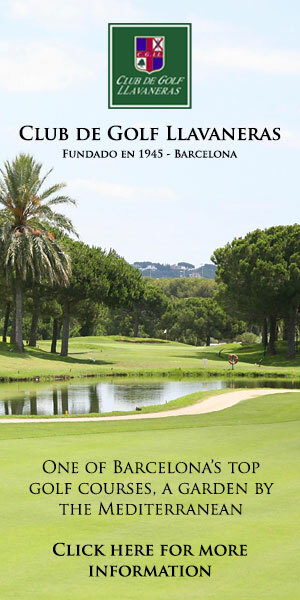 Founded in 1945, Llavaneras is the fourth oldest private golf club in Catalonia. The course is located 20 miles to the northeast of Barcelona and is routed across a relatively compact but pleasantly undulating 84-acre site. F.W. Hawtree originally laid out nine holes for the club and then the Spanish design trio of Ramon Espinosa, Magí Sardà and Alfonso Viador expanded the course to 18 holes when further land became available some years later. Golf Club Llavaneras is not a long course (measuring 5,000 metres from the medal tees), but what it’s lacking in length is more than compensated for by technical challenge and beguiling sea views. The opening hole, a drivable short par four, sets the tone for the round at Llavaneras – only the brave will reach for the driver, as this tee shot requires accuracy, anything hit too far left will likely result in a bogey or worse. The first of five par threes arrives at the 2nd, a short, downhill drop hole that is well protected by three bunkers at the front, right and a left. Anything hit long will leave a tough up and down, so aim for the heart of the green. The 3rd is the first (and longest) of the three par fives on the card and at 500 metres it’s a genuine three-shotter for most golfers. Keep left is our advice on this hole as anything leaked right falls away. Don’t be too bold with your approach shot to this well guarded green as out-of-bounds lurks menacingly behind the putting surface. With ten par fours that measure either less than or slightly more than 300 metres, Llavaneras is certainly not a slog. If you play the percentage game and find the fairways, scoring low is a real possibility. Spray the ball around and Llavaneras will sit up and bite back. Finally, we must mention the 17th, a 262-metre par four with panoramic views of the Mediterranean in the background. Many golfers have taken on this green over the years (and some have safely reached the putting surface) but many have ended up in one of the three deep bunkers that guard the greenside front. At the time of writing, nobody has ever holed in one… are you feeling lucky? Llavaneras is worth a visit – here is a Spanish course in easy reach of Barcelona with some history (opened in 1945) and it is not like many of the newer courses of the country which can be set-up to please golfers on holiday. This is very much a members club where visitors are made to feel welcome (we certainly were). First things first, the course is not long at all but I often say do not confuse this with being easy – yes there are a number of very good chances to beat par but also enough parts of the course when most handicap golfers will be happy with bogey. The opening hole is very friendly but only if you choose the right tee shot – take position over length every time, around 200 yards is all that is needed to leave a short iron approach. Stroke index 1 is as early as the third hole; a par-5 with the lay-up short the most important. The tee shot on the 4th hole is great challenge; a fade from the tee the obvious choice and the lake that covers the first 70 yards of the hole should not cause any problems but it is a nice feature (one for the cameras). My pick of the front nine holes is the snake-like par-5 7th – favour the right-side from the tee and then the left for the lay-up (couple of bunkers to avoid on this side) – these first two shots need to be strategic and accurate to set-up an easier approach. The 11th hole is only around 310 yards but has the most intimidating tee shot on the course; the course boundary is on the left, a lake is in play short and right, two fairway bunkers and a another water-hazard crosses at around 220 yards – any score on this hole from birdie to double bogey is very possible. The 13th is a nice hole to play, a tight tee-shot with the views of the sea in the distance (another photo opportunity) – the green has great protection; a lake short, a bunker back-left and a nasty drop-off for anything too long. The par-5 16th is worth a mention, especially for the tee shot – be aware that you facing out of bounds around 220 yards and you have to shape the ball left to the right – if the tee has been designed this way, then it is rather clever. Not a lot of distance to cover the last two holes but great fun – a potentially drivable par-4 at the 17th but with five bunkers and plenty of trees protecting is it worth it, probably depends on the situation of your match! A huge green awaits on the par-3 finishing hole, around mid-iron distance but a severe drop-off to the right and a monster bunker at the front and left asks questions. Post round drinks and a little tapas on the terrace over-looking the Med is rather nice too…. My only message to the club is to continue to take care of the presentation of the course as anything less than being perfectly manicured may bring criticism and focus on the course length – if they continue to get it right, then I would imagine that we may see Llavaneras move from the GEM ranking to be part of the next Spanish Top 100.